In an official press release Nokia announced that Zain KSA will be the First operator in Saudi Arabia to implement anti-malware solution. Zain KSA will use Nokia’s Netguar to protect its subscribers in Jeddah and Makkah from malware attacks during Umra and Hajj 2016 pilgrimage. Read the press release down below. 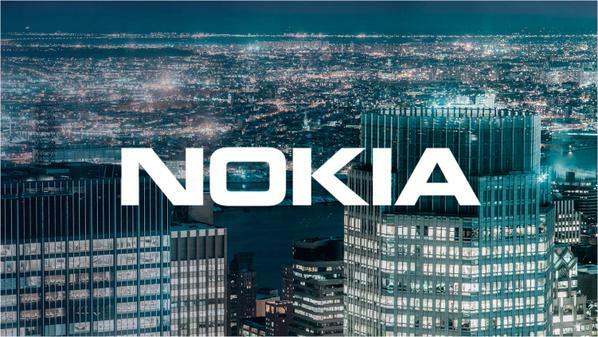 Riyadh, Kingdom of Saudi Arabia – Mobile and data services provider Zain KSA has selected the Nokia NetGuard Endpoint security solution to protect its subscribers from the increasing threat of malware. Zain KSA is the first operator in Saudi Arabia to deploy an anti-malware solution. It selected the Nokia NetGuard solution to monitor and analyze mobile network activity in Jeddah and Makkah during Hajj and Umra, an event that typically generates a tremendous amount of network traffic including voice and video calls, text messages and the uploading/downloading of images and videos. With Nokia NetGuard, Zain protected millions of subscribers from malware threats to online transactions and mobile applications during the 30-day pilgrimage. Initially deployed as a pilot project, the operator plans to continue using Nokia NetGuard to ensure the highest levels of network security as it aims to transform Jeddah, the second largest city in the Kingdom of Saudi Arabia (KSA), into a model for smart cities in the country and the world. Based on the tremendous success of the project, Zain is planning to extend the service across the kingdom. Malware is malicious software that hijacks the Internet of Things (IoT), mobile and other electronic devices as a means to extort money, or compromise or destroy sensitive user information. It can also harness the power of large numbers of these devices to attack other computer systems, such as the recent “Mirai” malware denial of service attack targeting Internet traffic management company DYN, which disrupted Internet service for millions of users. The increasing prevalence of new and more damaging malware, coupled with the proliferation of new applications and connected devices due to IoT and smart cities, is demanding new, more advanced approaches data security. Nokia NetGuard Endpoint Security is a network-based anti-malware solution for fixed, mobile and IoT devices. Analyzing traffic patterns from within the network, it is much more efficient than traditional antivirus software, as it cannot be disabled and protects subscribers without requiring them to install any software. The NetGuard solution enables Zain KSA to deliver superior protection for its subscribers, while providing the operator with valuable insight to better manage and maintain the security of its mobile networks. This announcement follows a major initiative announced earlier this year in which Zain KSA will apply advanced Nokia IoT and cloud networking technologies to transform Jeddah into a smart city by 2018. The use of these technologies will improve municipal services, enhance the business climate in Jeddah and create a better quality of life for the city’s nearly three million residents.